Coast Spas annual International Dealer Meeting or (IDM) event gathers the top hot tub retailers from around the world to witness the launch of new Coast Spas products, network and share ideas with peers plus take in presentations from industry leaders, suppliers and high profile speakers. This year, dealers representing four continents joined CEO Don Elkington and his team in the unveiling of an impressive 2016 lineup during two separate events in both Vancouver, Canada and Colmar, France. This marks the first time that Coast Spas has hosted two IDM events in succession and is a reflection of the massive growth in dealer acquistion Coast Spas experienced in 2015. In Vancouver, Coast Spas invited their authorised retailers to stay at the Opus Hotel in Yaletown, one of the highest rated boutique hotels in the world, and to participate in a 2 day event held at the historic Roundhouse Center. In Colmar, Coast Spas invited all their international dealers to the beautiful Hotel Barrierre set in the incredible France countryside. 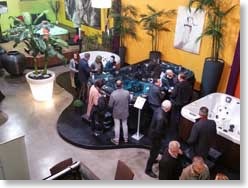 The meeting in France took place in the spacious hotel meeting room and new 2016 products were on display in the incredible showroom of one of the company’s top retail locations: Coast Spas France, owned by Richard and Valerie Fillol. During both events, Coast Spas dealers were able to take in all the new features available on 2016 spas. Of all the changes made for 2016, the most obvious aesthetic change would be the new Carbon Fibre corners that are an optional upgrade on their synthetic cabinets. Each of the durable synthetic cabinet styles are formed from the same ultra durable and nearly indestructible composite materials that are used on Coast’s Luxury Slate Cabinet finish and come with a specific colour matched corner to accentuate the synthetic cabinet colour. The design of the corners break up the traditional “boxlike” shape of the hot tub cabinet by bringing in the centre of the corner profile in an hourglass like side profile. There are three exterior lights that are integrated into the top of each corner that match the interior lighting of the spa (when activated). 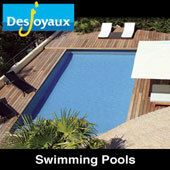 At night, the lights will glow a soft white – automatically illuminated at night by an included ambient light sensor. Each corner has a very detailed and meticulously crafted carbon fibre texture that provides a tasteful contrast against both the smooth acrylic and textured synthetic cabinet finish. Continuing to be an industry leader in innovation in 2016, Coast Spas luxury hot tubs come with colour touch screen controls and the option to sync your Bluetooth device directly to the main spa controls. New models such as the Alpha come as standard with shiatsu massage nodules formed directly into the acrylic surface. 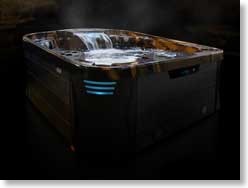 Coast Spas hot tubs come with quality filtration – their commercial grade pressurised Hydro Cyclonic Filtration System as well as Luxury Trillium Massage Jets Self Cleaning Sweeper Jet and many more standard features. All of the above and more was covered over both two day events along with a comprehensive sales presentation and the launch of Coast Spas brand new online ordering, quoting and specification sheet program created exclusively for Coast Spas Dealers. 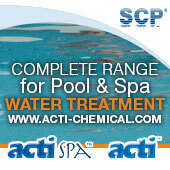 The new online system allows all Coast Spas dealers to build spas online and save their builds to a dedicated account. Once their spas have been built, dealers can order the hot tub to be manufactured by Coast Spas or convert their online build into a custom specification sheet or into a quote that can be emailed or supplied to a potential customer. It allows for multiple stores to track and manage their inventory as well as individual dealers to save an incredible amount of time quoting and providing information about the specific spas they have in stock.